This model is 5' 10" and wears a size S. Their chest measures 30" and the waist 24". A sleek approach in and out of the ring. 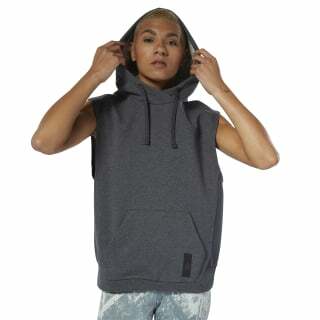 This women's hoodie is a remastered, versatile take on a classic boxing look. 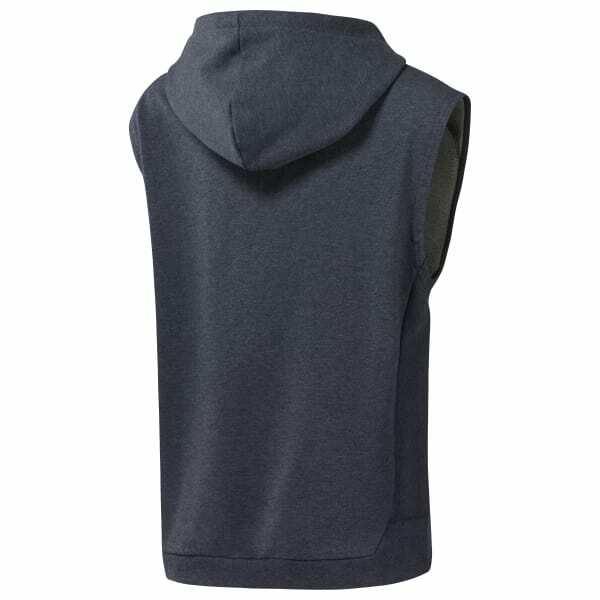 The sleeveless hoodie is made of soft cotton and features ribbed side panels for comfort and fit. A kangaroo pocket and the drawcord-adjustable hood offer extra coverage during early mornings at the gym or chilly evening runs. The slim fit keeps it modern.